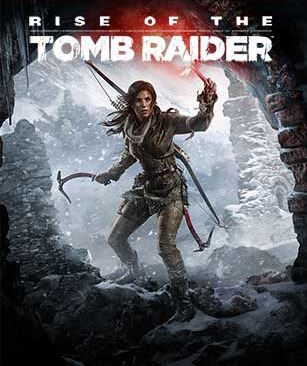 The second game in the rebooted Tomb Raider canon has Lara deal with the consequences of the events of the first game and accept newfound identity as a survival specialist and adventurer. The game was developed by Crystal Dynamics for the Xbox One and Xbox 360, releasing November 10 2015 on those platforms. The Xbox 360 version was handled by Nixxes Software BV. A PC version saw release on January 28 2016, with a PS4 version releasing November 11 2016. Actress Camilla Luddington and writer Rhianna Pratchett reprise their respective roles from the original Tomb Raider in 2013. Building upon the previous game and taking cues from other franchises, Lara can now swim underwater, hide in foliage, and climb trees. There is also much more emphasis on "tomb raiding" than there was in the previous game. Score Attack: Replay chapters with the intention of stringing together combos, finding collectibles, inventive kills, and various other methods. Chapter Replay: Vanilla game mode that allows players to replay chapters, with the intention of gaining credits for meeting certain objectives. Chapter Replay Elite: The ability to replay chapters with items and skills already unlocked by past progress. Remnant Resistance: This mode allows the player to replay Hub Spaces with different goals. Additionally, the player can create custom missions (using Expedition Cards) and share them with the community. In Rise of the Tomb Raider players are able to customize a number of Extra Game Modes with the use of Expedition Cards. Expedition Cards modify the nature of the game (Big Head Mode, extra damage, always on fire, etc.) and are bought in randomized packs using game credits or by purchasing them from the marketplace. The game also gifts the player card packs for achieving certain mission objectives. Expedition Cards can only be used for games modes within Expeditions. The Xbox One X enhanced version of the game improves the HDR / 4K visuals, adds Dolby Atmos audio and improves the performance of the game.